Event Planning/Catering - LemmTech Enterprises, Inc. Does your business plan and staff events, manage clients, and need a way to bring it all together? Our solution for a destination catering and event management company is another example of combining the power of FileMaker Pro and the experience of Lemm Tech Enterprises to produce a superior solution. 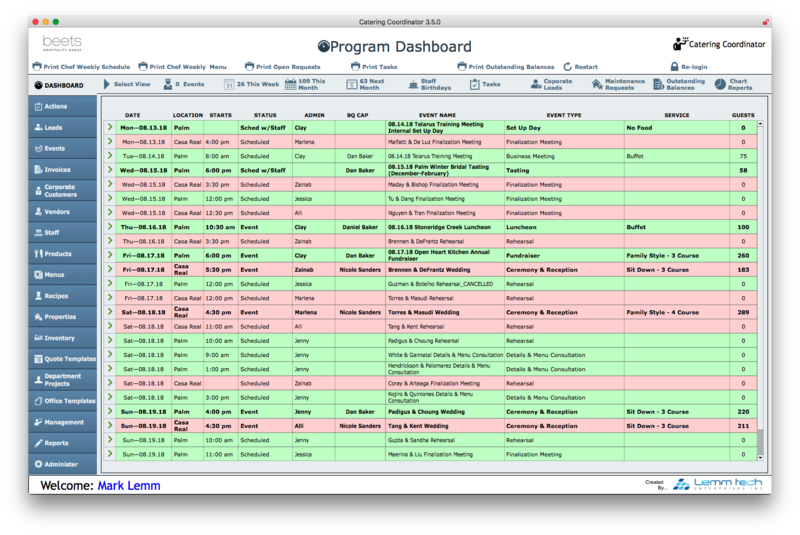 Multiple locations, different pricing structures, constantly changing menus, coordination of staffing, these are just some of the many challenges that FileMaker platform can tackle with ease in combined is a custom app to help this client manage their complex business.